After leasing 10,000 sqft in the dry area of the Houston Heights we realized how valuable alcohol sales were in this market. We did some research on where this infamous wet dry line was located. 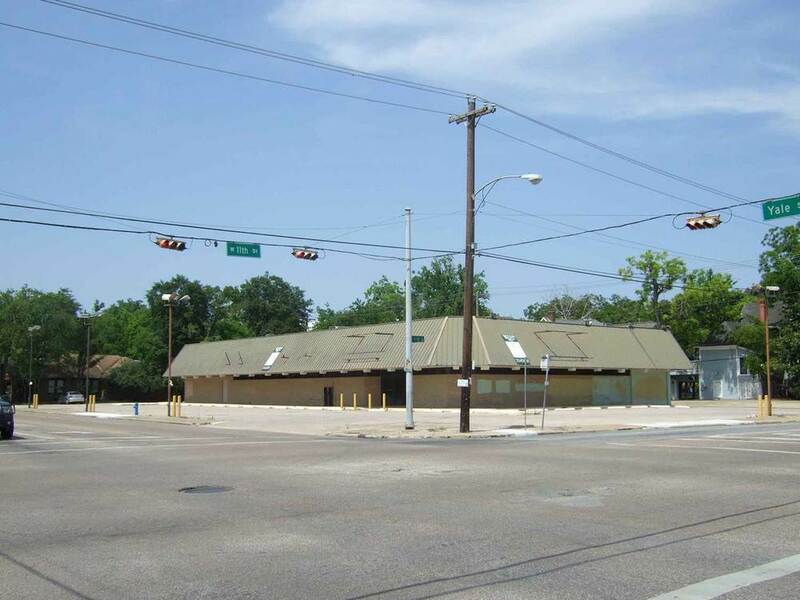 One Saturday evening, on a bicycle ride along White Oak Drive, we realized the five commercial buildings between Onion Creek and Fitzgerald’s had similar black rot iron fencing. There was a surprising amount of available lease space in all five buildings at that time. It was right then that we realized there was a significant opportunity that needed prompt attention. As it turns out we were in the right place at the right time. 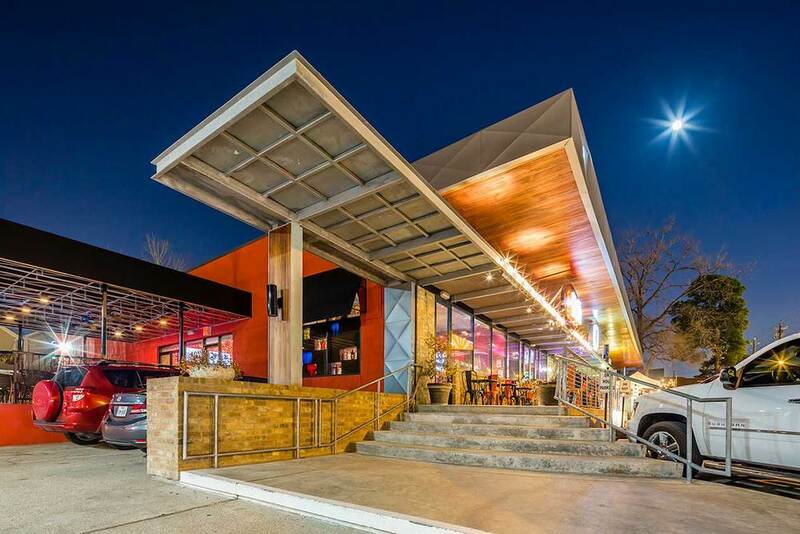 We did carry this property through the worst financial crisis of our time - but we never lost site of the opportunity at hand – creating an entertainment district for the diverse patronage of the Houston Heights. We added as many parking spaces as possible – assembling additional tracts of land and demolishing existing lease space to make way for low cost ($5-$7) parking. Land assemblage for parking purposes in this part of Houston, even during the economic down turn, comes at a very high price per parking space. We remained focused on finding qualified local operators that had access to their own financing and buying as much additional land for parking purposes as possible. BEFORE : This building was built-to-suit for a pharmaceutical company in 1972. AFTER : Dock high warehouse space needed to be converted into user friendly, easy accessed retail space. We relocated a 500 foot wall from the northernmost property line to improve drainage and add parking to the low lying areas of the south lots. Soon after the sale was finalized, we began a much anticipated, controlled demolition. We began pealing back layers of history uncovering portions of the original building dating back to 1932. The first tenants, Rettig’s Heap-O-Cream and ABC Grocery Store gave way in the late 50’s to Ivy Russell Ford. In the 70’s the building housed the bonus stamp loyalty customer reward retrieval center for Weingarten Grocery Stores. Finally, Eckerd Drugs added square footage and renovated the original art deco building into a 1980’s masterpiece (seen in the before shot). We were fortunate to be able to convert this coveted cornerstone back into its original condition. The City of Houston awarded us the Good Brick Award for our efforts. These are the types of buildings that preserve the character and culture of our inner city. This project sparked our new passion – saving well-built structures that add to the character of our city. We are obviously pro development, but feel that there is a real threat looming in Houston. Meticulously built structures demolished and forgotten and faux finished structures built in their place. BEFORE: After purchasing the building from the family that formerly operated the Rettig’s Heap-O-Cream empire, we were fortunate enough to be invited into their home to learn greater detail of the building’s history. Without this experience we may not have been able to restore the building. We learned greater detail of the building’s history and with that were able to restore the building to mimic its original condition. Peeling back the layers drew the attention of many area residents who stopped to tell their stories. AFTER: We replaced the original rotted wood canopy with aluminum materials and replaced the damaged stainless steel art deco accents with new stainless steel that will shine many years into the future. Soon after signing the purchase contract, we submitted a site plan to the city of Webster. The city’s response read, “Please move your proposed building, it is in the way of our proposed road.” Obviously the landowner and city were in the midst of a long-lived stalemate over the road alignment. Using a little creativity and a lot of compromise we helped the landowner and city reach an agreement. We demonstrated how significant the penny sales tax was to the city revenue stream and helped the landowner get comfortable with a master plan that maximized the return on his remaining parcels. We were grateful for the long drawn out resolution. It allowed us to have the property 75% leased prior to closing. This was a true win-win for all. During the marketing phase we became aware of the high level of restaurant demand. We made arrangements for the purchase of extra land for additional parking and designed extensive patios, fountains and landscaping. Being our first major development, each ounce of progress blew us away. My wife and I rented a hotel room over looking the site to ensure front row seats to the rising of the tilt walls at 6:00 a.m.
Everyone tried to talk us into the faux stone due to its light weight and glue-on capability. We are fans of nice looking, mostly natural, long lasting materials that actually are what they appear to be – if you are going to build something, build it right.